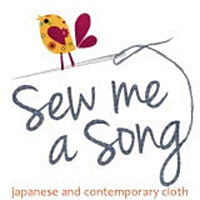 I was happy to be invited to join the Art Gallery Quilt Block Collection Blog Tour hosted by my friend Sharon McConnell of Color Girl Quilts. Art Gallery has a collection of videos available on YouTube that walk you through the simple construction of traditional blocks. The videos are perfect for a beginner because they provide step by step instruction for cutting and piecing and might introduce you to a new quick piecing method along the way! I chose to make the Single Irish Chain Block. 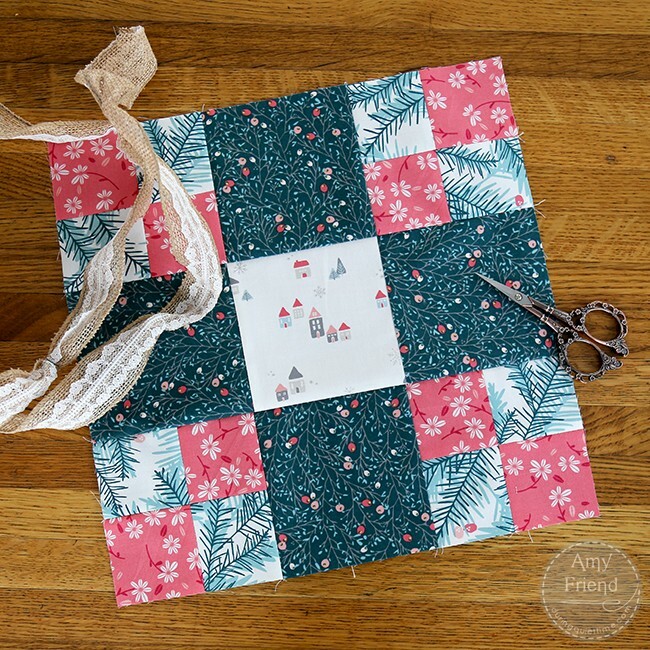 This simple tutorial introduces you to fussy cutting and strip piecing methods. I chose Amy Sinibaldi’s Little Town Fabric Collection for my block. I love her sweet take on a pink Christmas! I chose to make a Christmas stocking with my blocks. 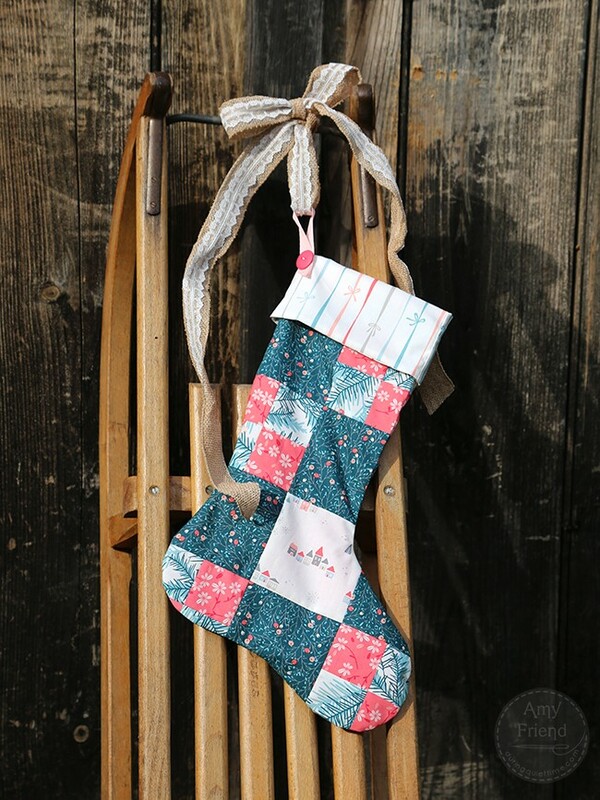 I sewed up four blocks and from the resulting patchwork, cut my stocking front and back. I cut them identically so that the patchwork matches along the side seams. These little details bring your projects up a notch! I really love how the ribbon and bow print works for the cuff of the stocking. Art Gallery is running a contest related to these block videos. You can find all the details here. 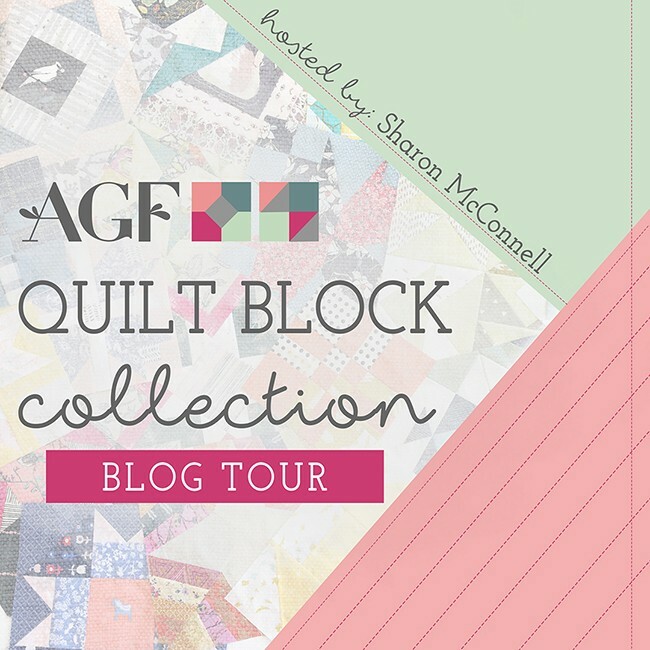 Basically, choose a block, watch the video and sew the block, share it on IG using #agfquiltblockcollection, cross your fingers and wait to see if you have won a FQ bundle of Art Gallery Fabric! It’s easy, what are you waiting for?